Two seemingly unrelated stories — one in words, the other in pictures — come together with spellbinding synergy! The illustrated story begins in 1766 with Billy Marvel, the lone survivor of a shipwreck, and charts the adventures of his family of actors over five generations. The prose story opens in 1990 and follows Joseph, who has run away from school to an estranged uncle’s puzzling house in London, where he, along with the reader, must piece together many mysteries. 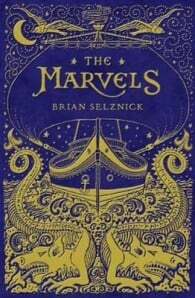 How the picture and word stories intersect will leave readers marveling over Selznick’s storytelling prowess. 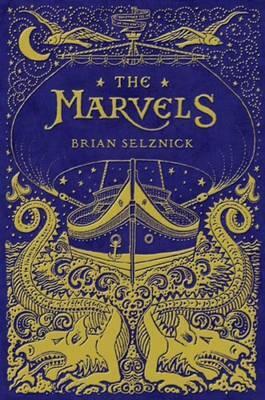 Filled with mystery, vibrant characters, surprise twists, and heartrending beauty, and featuring Selznick’s most arresting art to date, The Marvels is a moving tribute to the power of story.